In the past years heat waves have been on the rise even in relatively cool countries such as Germany. They frequently have a negative impact especially on urban populations. According to information by the German Federal Ministry for the Environment, Nature Conversation and Nuclear Safety a heat wave in 2003 led to about 7,000 deaths in Germany. In addition, many people suffered from heat-related health problems such as dehydration, heat stroke and cardiovascular problems. Because heat stress occurs especially in densely urbanized areas, cities have to find ways to adapt and protect their citizens. An interdisciplinary team of researchers has developed the ZURES project to address these issues. 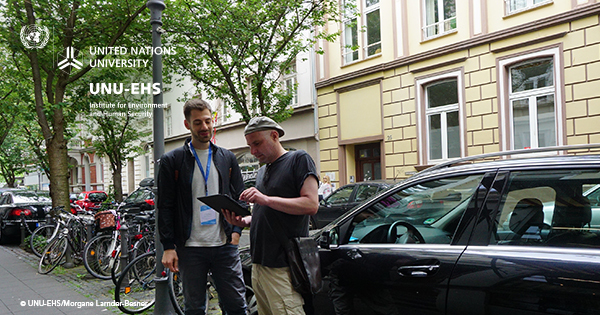 While some of the project partners analyse current and future trends of urban heat, researchers of UNU-EHS are focusing on the impact on people. They want to understand how the urban population perceives heat, how it prepares for and acts during heat waves and what cities can do to adapt and alleviate problems. 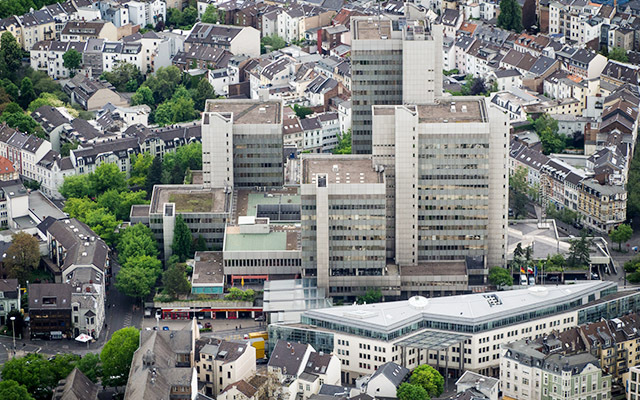 The researchers are starting their data collection in Bonn/Germany beginning on May 16th. Equipped with tablet computers, teams will go door-to-door in selected neighbourhoods and survey as many people as possible. ZURES is a research project supported by the German Federal Ministry of Education and Research that aims to reduce the effects of heat stress. In close collaboration with the cities of Bonn and Ludwigsburg in Germany researchers will develop methods and instruments that will facilitate better adaptation to heat waves in the future. The ZURES consortium consists of seven partners and is led by the Institute of Spatial and Regional Planning at the University of Stuttgart. Journalists are invited to join the research team between May 16 and 18 and/or conduct expert interviews. For further information, to join the researchers or to arrange interviews, please contact Nadine Hoffmann, hoffmann@vie.unu.edu, (+49) 228 815 0284.